Designed specifically for children – small pack size is ideal for tiny limbs! 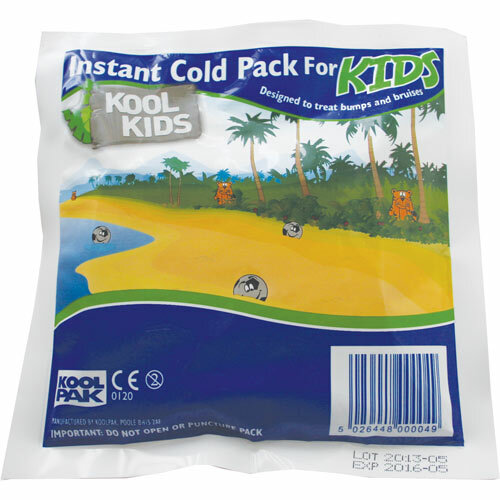 Instant cold pack becomes cold in seconds – great for treating bumps, bruises, sprains, and strains! Remain cold for up to 20 minutes at room temperature! My wife uses the ice packs on her knees and hip or anywhere she has a pain or soreness. We recommend them to friends and family in the hope they will buy them. The quality is first rate, brilliant. I keep them in a first aid kit i take with me when i take the children out as they are prone to accidents. Ideal for bumps & scrapes. Cover makes it easier for little ones too. The product was as described and suitable for use for First Aid for children. Good for bruises. Helps to heal. For icing foot due to peroneal tendinitis. I use the product for children's physical play classes. Really good, and stay cold for a good long while.